Transit stations can be much more than places to get on and off trains. Transit stations open doors for how the areas surrounding a station can be used. They are springboards for enhancing existing neighborhoods and for creating entirely new destinations that support strong, lively, healthy communities. 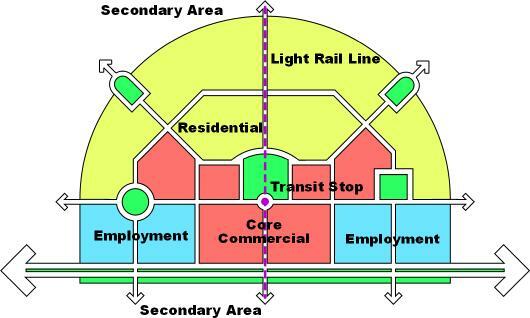 Transit Oriented Development can establish walkable, mixed-use community spaces that may include a transit station, offices, shopping, residences and park areas, as shown above. Click here to download a video about TOD. 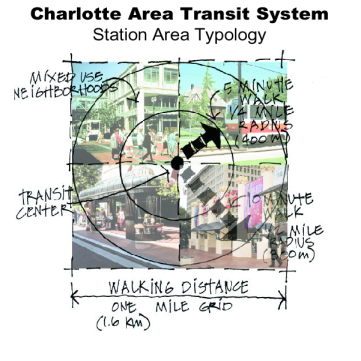 Station Area Planning (SAP) is the process of planning and designing the space within and around transit stations. SAP looks at the desired features of the station itself as well as the use of the land surrounding the station and how it relates to the community’s vision for the future. The Oasis Rail Transit stations will be shaped based on location, community vision, the opportunities that exist for growth and public input. 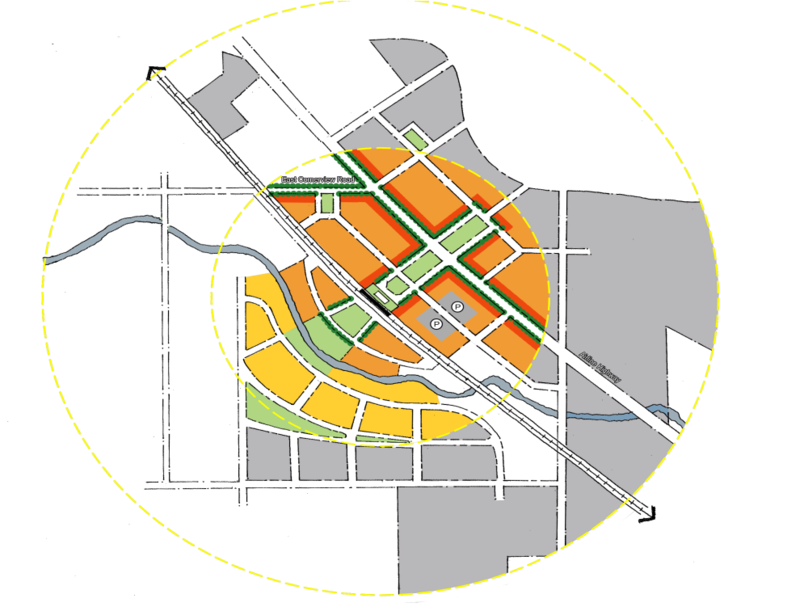 Oasis planners are using the Tier 1 FEIS, the 2002 Land Use Vision Plan and its 2008 update and related information to establish baseline concepts for proposed Oasis stations. As the project advances in development, planners will work with local communities to form a more complete vision of their rail stations. 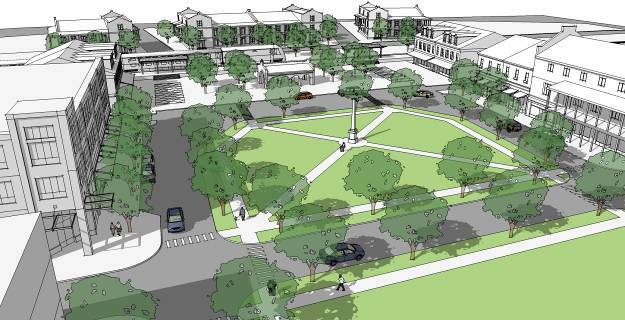 The focus will be on how the space around the stations can best be used to improve neighborhoods and create livable, sustainable community spaces. These principles were developed by the Partnership for Sustainable Communities, a joint initiative of Department of Housing and Urban Development (HUD), Department of Transportation (DOT), and the Environmental Protection Agency (EPA). These principles can also be used in pursuing discretional federal funding opportunities such as TIGER grants, etc. Unlike all the other Oasis rail stations, the Boathouse station will be a special event station. Used primarily for special events, it will have the highest level of bike up/walk up riders and no transit-specific parking. Copyright © 2019 easterncorridor.org. All Rights Reserved.